The season of pumpkin everything is in full effect and my newsfeed is full of all things fall. Fall is my favorite season. I love watching the beautiful colors as the leaves change to stunning displays of red and yellow. The weather has one foot still in summer and one foot in winter. I love everything about it. 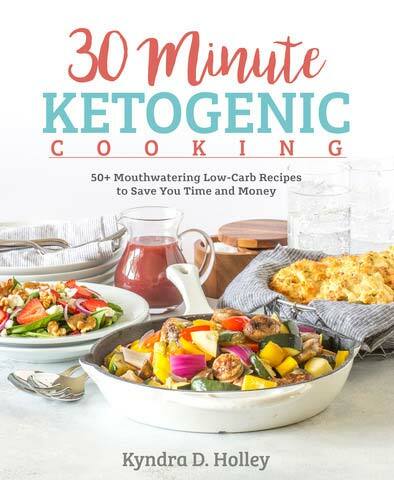 Especially all the new low carb pumpkin recipes that start making the rounds. 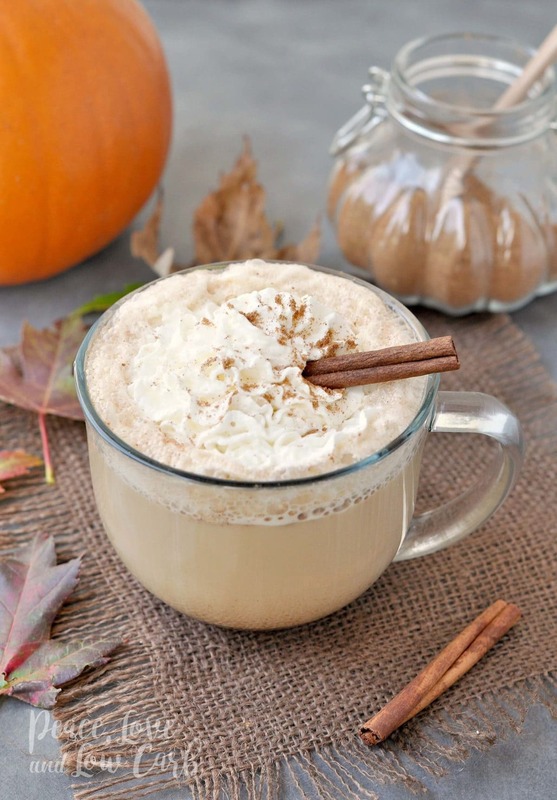 At the first traces of fall, my mind instantly goes to delicious ways to make different low carb pumpkin spice latte recipes. I used to be a die hard Starbucks pumpkin spice latte fan. For years and years, I would see all the PSL advertising and I never got the hype. I had never had one. THEN, I made the mistake of trying one and I was hooked. I just wanted to drink them all day long. I didn’t, of course. But I sure wanted to. 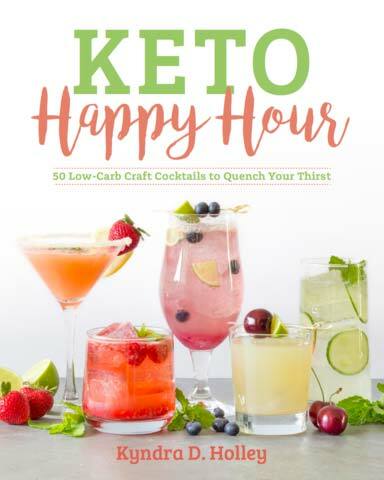 It was derailing my low carb lifestyle really bad. 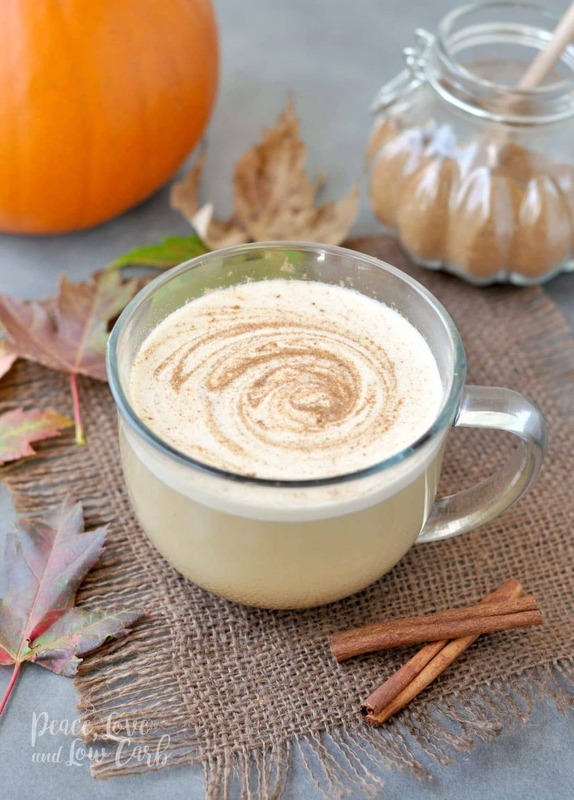 I knew I needed to skip the indulgence and make my own healthy keto pumpkin spice latte recipe. 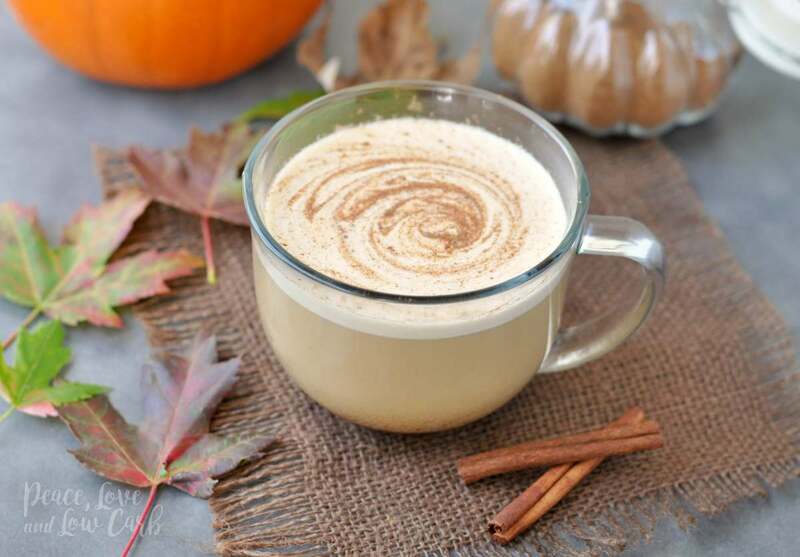 Since I am a big fan of bulletproof coffee recipes, also known as butter coffee, keto coffee, etc, I wanted to create a recipe that was a marriage between a boosted coffee and a low carb pumpkin spice latte. 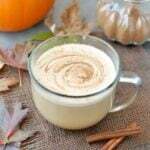 It all starts with this amazing Pumpkin Pie Spice Recipe. 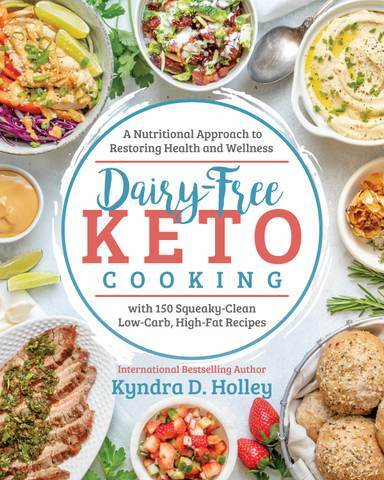 From there you add in some MCT oil powder, grass-fed collagen peptides, a little natural low carb sweetener or sugar free syrup, and some grass-fed butter. 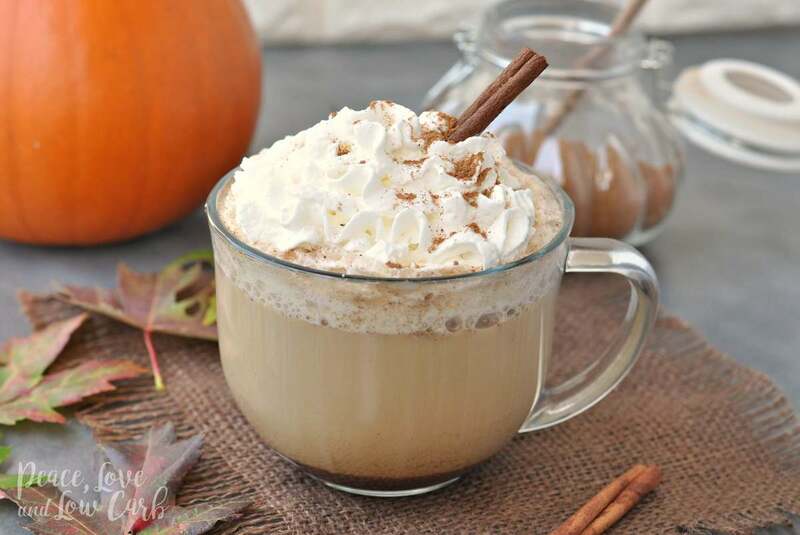 The end result is a high fat, low carb, pumpkin spice boosted keto coffee. I am so happy with how it turned out. In fact, I have been drinking it every day. Not only do I get all the delicious flavors of a fat filled keto pumpkin spice latte, but I get all the amazing health benefits of grass-fed collagen. 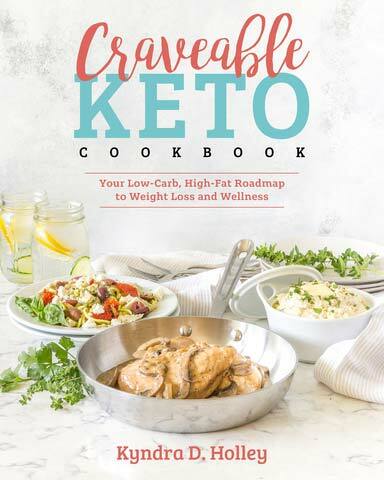 I have three amazing keto cookbooks out. Check them out here! Combine all ingredients in a blender or milk frother and blend until creamy. This sound so good! Unfortunately, I’m not a coffee drinker. Could this be made with cocoa instead? I make this type of drink with brewed cocoa (mine is called Crio Bru) and is so delicious! I was just wondering what brand of coffee do you prefer?